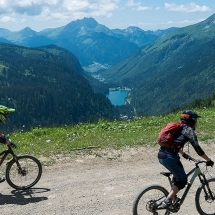 Mountain biking has become a very popular summer activity in the Abondance valley. 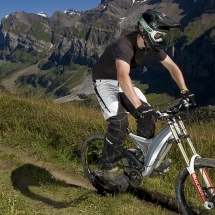 There are two types of mountain biking, downhill mountain biking and trail mountain biking. 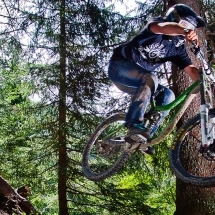 Downhill mountain biking is quite like skiing in that you have different levels, green, blue and red. 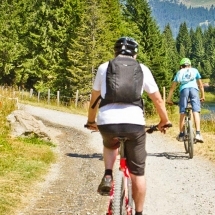 But they are all down hill which means you use your brakes a lot and you need the confidence to cycle down sometimes steep slopes. 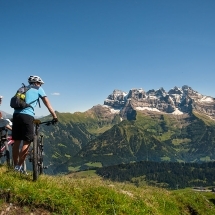 Trail mountain biking is where you are cycling much more on the level with more gentle or shorter slopes. It is a way of exploring whilst in the mountains. 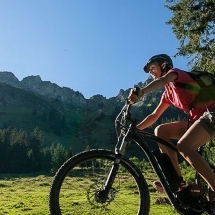 You can also choose between regular bikes and electric bikes.